Sebastian Kurz, leader of the Austrian People's Party. Credit @dagfinnanders5 via Twitter. 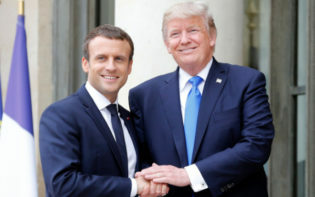 Donald Trump’s successful leadership campaign seemed to signal a wave of nationalism across the globe, and with a multitude of Presidential elections occurring in the following months, opportunities seemed to arise for Conservative candidates to attain a position of influence. This may presently be the case in Austria, with Sebastian Kurz, leader of the Austrian People’s Party, projected for victory, emerging as a frontrunner after the legislative elections; whilst this may naturally reemphasise the present desire for nationalistic leaders across Europe, and prove the benefits of democracy, as a wide breadth of people may have their voices heard, it may more poignantly showcase the capabilities of Kurz himself who, at 31, seems set to become the world’s youngest leader. As such, he may prove there might be viable pathways into politics, leading to an influx of young politicians aiming to impact the world. Presently, Kurz, alongside his responsibilities as leader of his party, boasts the position of Minister for Foreign Affairs. Thus, he may already have attained experience in negotiating with other nations, and striving to attain the best possible outcomes, enabling him to be superiorly equipped to impact Austria as opposed to his rivals. This may have been a focal point of his campaign, yet perhaps the predominant reason he seems to have achieved success might be due to his ability to adapt situations to his advantage, and use them to influence his ideologies; this most notably surrounds immigration, and after the challenging predicament surrounding migrants in Austria, Kurz altered his party to have a more right-wing stance. Whilst this may contradict a multitude of other nations’ philosophies on the situation, it may have resonated with the Austrian population, and therefore contributed in his rise to prominence. Attaining a position of high ranking and influence may enable Kurz to implement his desired alterations, and in doing so he may showcase the reasoning as to why he attained votes; yet, he may be required to lead the nation as part of a coalition. 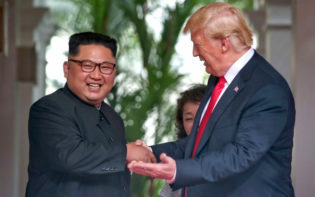 Whilst this may naturally result in a challenging negotiation process, and the potential adaptation of policies in order to form a successful union, achieving alongside another party, and potentially bypassing differing political opinions to achieve solidarity, may further highlight his credentials, and prove he warrants a position of power. 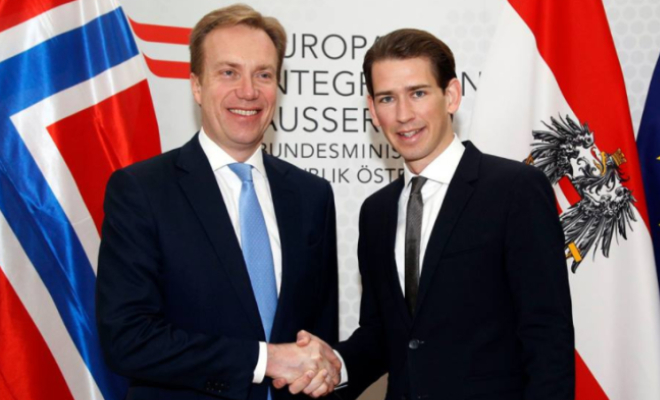 Having met other global influencers, Kurz may already be experienced to lead Austria. Credit @Tumblr.com. Whilst naturally these results predominantly impact Austria, Kurz’s victory may also influence global politics, with his policies key in ensuring the nation’s relationships with other countries may be maintained. 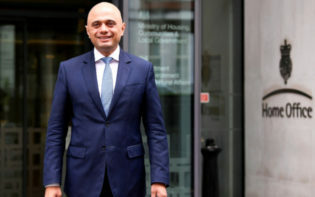 Yet, it may also be important in showcasing the accessibility of a career in politics, and thus, whether his ideologies may be shared with Britain, he may act as the catalyst in a fresh influx of young politicians meteorically rising. With the Conservatives presently in challenging circumstances due to multiple protests surrounding their legislations, the necessity for fresh innovation may be intensifying, with these campaigners perhaps being provided with opportunities to impact the world themselves. With Kurz’s age acting as an advantage, as whilst his rivals may hold superior experience, he may possess the ability to appeal to them, and with this trait enabling success for him, people in Britain may seek to replicate his actions. 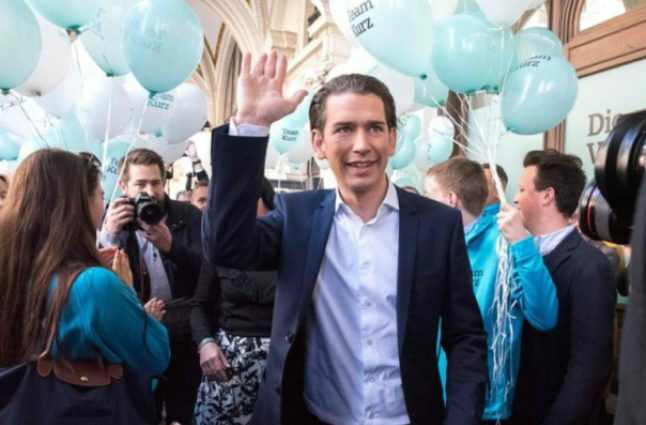 Whilst Kurz’s victory may be solely projected, and he seems to be at the forefront of focus and, if another party representative may surpass Kurz and claim the title for himself, Kurz may still claim the plaudits, with his age, and swift rise, laying the foundations for a successful future. He may also be motivated by the longevity of Angela Merkel who, having recently extended her tenure for a fourth term, may be amongst the most experienced representatives in Europe; yet, she also begun her political career early. As such, he may aim to replicate, and ultimately surpass, her achievements, or conversely aim to carve his own pathway. 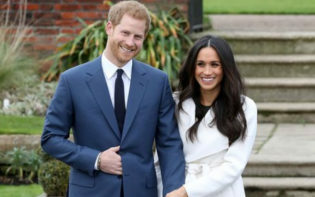 Whatever path he may opt for, his success may solely serve to highlight the benefits of democracy, as whilst nationalistic ideologies may create debate amongst populations, it may enable a wider breadth of people to have their voices heard, and wills represented, thus showcasing the usefulness of voting. How may Kurz motivate a fresh generation to involve themselves in, and thus impact, the political world?